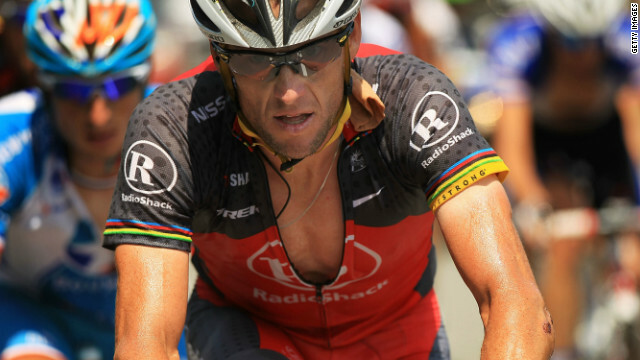 Reported by Quentin McDermott and originally produced by Four Corners for the Australian Broadcast Corporation, this riveting documentary details the case against cyclist Lance Armstrong, who has been accused of employing illegal doping to enhance his athletic performances. McDermott reviews the origins of the suspicions of Armstrong’s usage of steroids, hormones, blood transfusions, and other performance enhancements, dating back to the 1990s. Testimony of former close friends Betsy and Frankie Andreu reveals allegations that Armstrong directly confirmed his usage of performance-enhancing drugs to his oncology team during cancer treatment. Featured in the documentary is footage from Armstrong’s only ever deposition, given in 2005, in response to a lawsuit by an insurer resisting awarding Armstrong a bonus for one of his Tour de France wins. In the videotaped deposition, Armstrong is at points evasive, impatient, and earnest as he declares his innocence of doping, even in the face of specific details given by members of his inner circle. Also, McDermott interviews former Armstrong teammate Tyler Hamilton, who describes, in vivid detail, his own introduction to performance-enhancing drugs, and using those drugs with Armstrong – at points even administering drugs provided by now-disgraced team doctors, only steps away from racing venues in nearby trailers and even in team hotel rooms. McDermott credibly deconstructs Armstrong’s defenses, speaking with a French scientist at a lab that has evaluated Armstrong’s Tour de France tests. Newer, more sensitive testing now detects illegal enhancements in Armstrong’s early Tour de France urine samples. McDermott also replays audio of what cycling legend Greg Lemond says is a secretly taped phone call between him and a marketing executive that suggests even some sponsors may have felt pressured to cover up for Armstrong’s doping to protect their own corporate images. The World According to Lance Armstrong debuts on CNN/U.S. on Saturday, Oct. 27 at 9:00pm, 12:00am ET & PT.